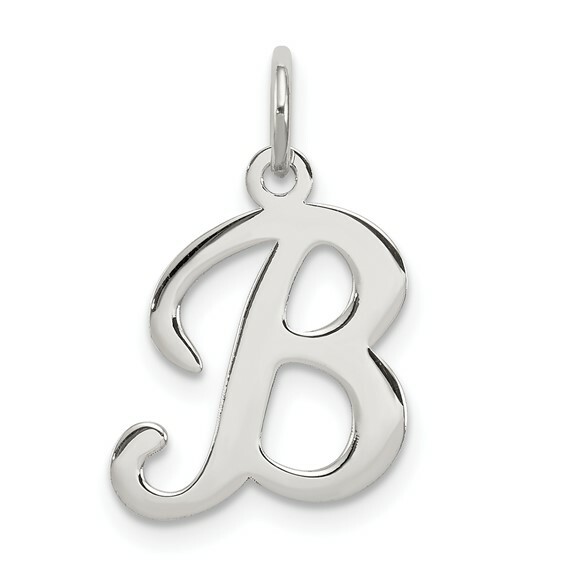 This very small letter B stamped script charm is made of polished sterling silver. Measures 7/16 inch tall. Weight: 0.46 grams. Import.